Now in its eleventh year, Tallinn Music Week has established itself as one of the most vital and forward thinking city festivals in Europe. Though one of Europe’s best preserved medieval cities, there’s nothing backward about the city’s culture or the programme curated (through thousands of artist submissions) by the festival organisers. The festival covers everything from left-field electronica to new emerging jazz via the most frenetic expressions of modern pop and metal’s darkest corners. More, the festival’s conference scene of talks and panel discussions has become increasingly one of the festival’s strongest assets – Tallinn being the home of Skype, discussions of technology and music are central to the festival’s output. Here’s some of what we’re looking forward to at Tallinn Music Week 2019. Having emerged from the underworld of St Petersburg, the queer hedonistic collective Sado Opera have spent the last five years in Berlin; owing to the Putin government’s homophobic policies. In Berlin, Sado Opera have been the house band of debauched nightclub Wilde Renate – this performance art crew’s set is hotly anticipated this year. The Japanese noise rock duo are sure to provide an ear-shredding experience. Specialising in high impact, brittle thrash-psych, Moja perform twice on the Friday so no excuse to miss. Though Finnish quartet Trees might occupy a folk-rock terrain, albeit a pretty lo-fi interpretation of the genre, this is not a backwards looking retro act. Quite the opposite – Trees explore space and place in a psychedelic and exploratory way, and we can’t wait to hear them in this Baltic setting. 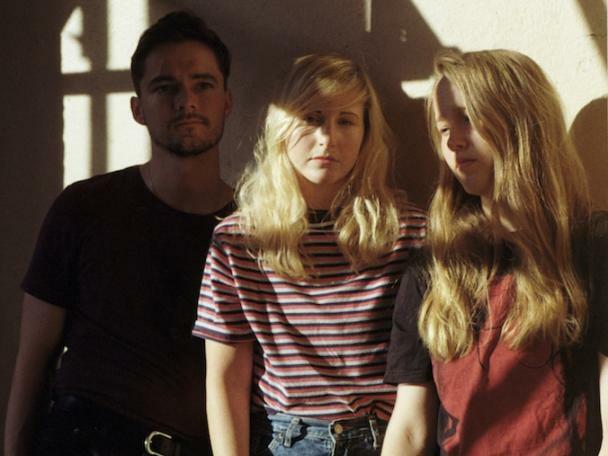 North London dream pop group Wyldest are one of Britain’s most intriguing contributions to Tallinn Music Week; released via UK indie label Hand in Hive, they’ve just released their debut record ‘Dream Chaos’, channelling the ghostly ethereal soundscapes of Cocteau Twins and Depeche Mode. Classical is a large part of Tallinn Music Week’s remit, and the Russian pianist Krill Richter is one of the most eagerly anticipated neoclassical fixtures on the festival’s programme – a Russian pianist who has worked extensively in film and TV, one for fans of (no relation) Max Richter, Nils Frahm and Daniel Blumberg. See also Cätlin Mägi performing at the festival, a visionary neoclassical composer from Estonia who works almost exclusively with the Jew’s harp. Winner of 2017’s Tallinn Music Week award, this is a welcome return for Parnoja, formerly of Estonian art-pop group Ewert and The Two Dragons. Cinematic, mystical soundscapes that richly evoke Parnoja’s native Estonia. And if you fancy delving deeper into Estonian organic sounds, its rich folk culture is a good place to start, which is heavily represented at Tallinn Music Week – our choice pick would be Trad Attack! for guttural, politically-informed Estonian folk. The focus of the 2019 conference is the impact arts has on the economy – this wil be taking in everything from innovations in Finnish education to the merits of Europe’s night tzars (pertinent for anyone currently pondering London’s night tzar’s inactivity). As well as panel discussions with industry insiders, there’s also interviews with cultural figures such as post-punk polymath and legend Barry Adamson, British designer Malcolm Garrett, unconventional Finnish pop maverick Jimi Tenor, rock writer Zoë Howe, as well as Keith Siilats, the logistics consultant and pilot for the notorious Fyre Festival. Unlike that festival, we’re sure Tallinn Music Week will go off without a hitch. Tallinn Music Week 2019 runs between March 25th - 31st.